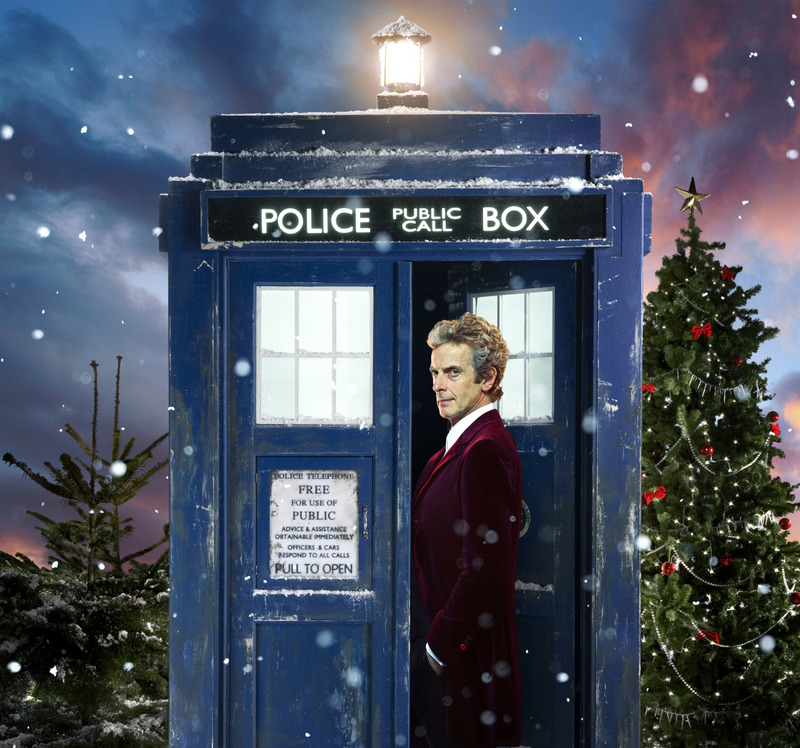 The 2015 DOCTOR WHO Christmas special will be shown in U.S. movie theaters on Dec. 28 and 29 at 7:30 p.m. (local time). And — in a gesture that Santa Claus would love — the events will also feature an exclusive interview with Alex Kingston (River Song) and a 15-minute “making of” behind-the-scenes featurette starring Peter Capaldi (the Doctor) and executive producer Steven Moffat! Tickets for the screenings can be purchased online beginning tomorrow, Nov. 13, by visiting the Fathom Events website or participating theater box offices. A complete list of theater locations can be found on the Fathom Events site. It’s Christmas in the future and the TARDIS is parked on a snowy village street, covered in icicles, awaiting its next adventure. Time traveler River Song meets her husband’s new incarnation, in the form of Peter Capaldi, for the first time! This entry was posted in Cult TV, Holiday and tagged 12th Doctor, 2015 Christmas Special, Alex Kingston, Doctor Who, Fathom Events, Peter Capaldi, River Song, Steven Moffat. Bookmark the permalink. Jeffrey Dean Morgan cast as WALKING DEAD’s Negan! The Fourth Doctor Returns — to Comic Books!